This is a confusing one because Kershaw on the left has a significant amount of face fat, but if you look closer you’ll be able to realize how much older Kershaw looks in the picture on the right. Like Cabrera, Kershaw is having another stellar year, which is even more evidence for steroids. 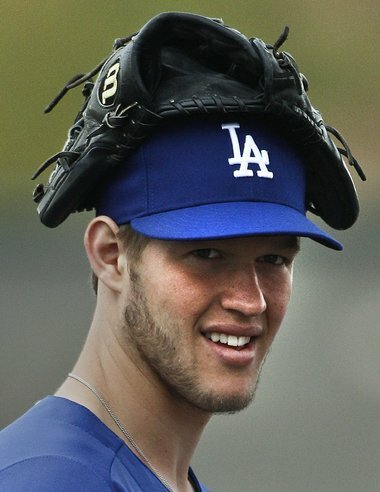 Studies have shown that steroids can disorient and confuse which explains why Kershaw is wearing his glove on his head and not his hand. Definitely a user of steroidals. Take a gander at how much bigger Plouffe looks in the second picture. He grew significantly since he was in the womb, which means steroids. Also his facial expression in the second picture is suspicious. I would give him 50 games for steroids, 25 games for lying, and 10 games for Plouffing. This entry was posted in #analysis, Chris Davis, Off Season.